I was born October 20, 1960, to Rita Mae Pettway and Samuel Small. My mother lived with my great-grandparents, Ed O. and Annie E. Pettway, because my mom’s mom died when she was four years old. Growing up as a small child on a farm with my brother David and my sister Hazel, we worked hard as children. We worked in the field from sunup to sundown. And we went to school only if it rained. Back in those days, when a woman had children and wasn’t married and lived with her parents (in her parents house), the children would usually call their grandparents “Mom” and “Dad,” and that’s what we called Ed O. and Annie E. When we were growing up, my sister, my brother, and I were not allowed to go to parties or anything else besides church and May Day because my grandmother was killed on Christmas Eve, on her way from a party. We were sheltered from the world because of what happened to her. It is hard to find yourself and to know who you are. I wish that I could put into words how life was back then. 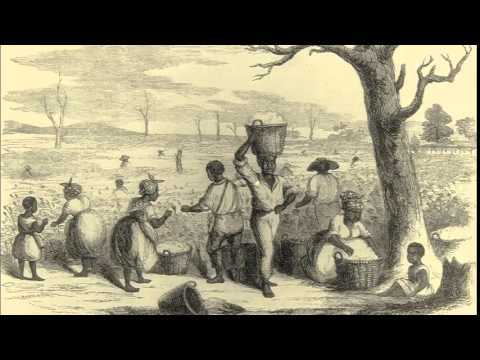 Seeing the school bus go down the road while we were picking cotton and the other kids seeing us picking cotton made me feel like I should have been on that bus. We really weren’t allowed to have much fun when I was growing up. About the only thing I did when I was young to have fun was play softball and make quilts. My brother and sister and I would play under the quilts while my mother (Rita Mae, who we all call Rabbit), Annie E. (who we called Mama), my Aunt Mary (who we called Edie), and my Aunt Nellie would quilt. I remember doing that when I was six or seven years old, but I’m sure we did it earlier than that. We would sit under the quilt and I would watch the needle going in and out of the fabric. I loved watching and playing under the quilts. Our year started in March because we started getting the field ready for planting. This lasted from March through May. We were preparing the fields for cucumbers, squash, corn, and peas. By June, it was time to start harvesting the first crops. This lasted until the end of July. Then it was time to start getting ready for cotton. We planted the cotton—we had to hoe it and then hoe it again to make sure the grass stayed away. We had to do this every day except Sunday. Sunday was saved for church. If it rained, we went to school. If the sun shined, we were in the fields. It didn’t seem to rain too much. Of course, if it rained, it meant we got a break from working in the fields and a chance to go to school, but rain meant more hoeing when we went to the fields. Of course, as kids we wanted it to rain. By the end of September, some of the cotton would be ready to pick. We didn’t have machines or the luxury to wait until all the cotton was ready. We picked it as it opened. This would take us until the middle of November. Again, if it rained, we were in school. Otherwise, we were in the fields. By the end of November, we were in school every day. We had a break for Christmas and went back to school in early January. By March, it was back to the fields. I started working in the fields when I was six years old. When I was sixteen, we stopped farming cotton, so I went to school more. But by then I had missed all of the basics that I really should have started out with. By the time I was sixteen, I had already worked so hard. We really didn’t have much of a childhood. My mom worked hard to make our life better than hers. I can’t imagine what her life was like when she was young. It wasn’t like she had a choice. She was a single mom with five kids by then, and we had to work in order to survive. Life was hard, but we did what we had to. I wouldn’t wish for any child to have to live my childhood. I was twelve years old when I made my first quilt. I made it because it gave me something to do. We needed the cover, but for me it was just something to do. It was a “Housetop” quilt. I can’t remember what colors it was, but it was made from scraps that were left over from clothes that Rabbit had made for the kids. She made almost all of the clothes we wore in those days. The scraps that were left over from those clothes always ended up in quilts. Nothing went to waste. The same year I made my first quilt, my brother Christopher was born. That’s when I had to learn to cook. The women who had babies weren’t allowed to cook in the kitchen until the baby was about a month old, and they weren’t allowed to leave home until the babies were six weeks old. So I had to learn to cook for the family. The first thing I cooked was rice and chicken. My brother Chris was born an albino. When people saw him they called him a white baby. It just made me sad because he was my brother and we loved him. Mama—Annie E.—died in June of that year. My brother, sister, and I were sitting on the porch barefooted when the hearse pulled up. It was long and black, and the people got out and went into the room where she was and put her in a black bag, and then they carried her away. I remember sitting there and crying as she was taken away. Sometimes I still sit and picture her face, and I can still feel her smile. Sometimes I can still hear her crying from the pain that she was in because of her illness and because she couldn’t do anything for herself. I think she was crying more for us, because we were the ones who had to do so much for her. In 1973, my brother Hank Snow Pettway was born. And he was also an albino child. That meant that Chris had someone to look at and say, “He looks like me.” They would always ask why they looked different from us. We really didn’t understand it back then and didn’t know what to say. That was just the way God made them. Whenever a baby was born, Rabbit would make some baby quilts for them. It was kind of like a tradition. New babies meant new baby quilts. I was making quilts back then, too. Sometimes we would make quilts in my Home Economics class. But those were always patterned quilts. I remember a red and white “Bow Tie” quilt, which I still have, and a baby quilt that I made with three or four other students. One of those students was Loretta P. Bennett. It was more of an appliqué quilt, which is not at all like what we would make at home. But by then we were going to school in Camden. Those types of quilt patterns were always brought in by other people. That wasn’t really my kind of quilt. But most of my quilts in those days were pattern quilts because I wanted to make some pretty quilts. By the time I was sixteen, I stopped making quilts and spent my time making clothes. I got pregnant and had a baby in 1979 when I was nineteen. I named my daughter Sonda. I remember asking myself, “How in the world did I let this happen to me?” Growing up without a father around, I didn’t want to put my children in that same situation. After Sonda was born, I went back to making quilts. Most of them were pattern quilts from a book I ordered through the mail. I made about eight quilts the year after Sonda was born. One was red, white, and blue, with a lot of triangles, and it came from that book. Another one was a yellow and white quilt. Someone had given my neighbor Lillie Mae a quilt, and I saw it at her house. I went home with that quilt in my mind. Later I tried to make one for myself from memory. It was made with my colors and I really liked it. Another one was a “Wedding Ring” quilt. For the “Wedding Ring” quilt, I didn’t use the book colors and I did it my own way. I used purple fabric for the background, and red, blue, gold, black, white, and pink for the blocks. I just love color, and that quilt really stood out. Even today, color is the most important thing to me. In 1980, I married Sonda’s father [Albert Bendolph]. I realized that I had a child and a husband but I still didn’t even know who I was. In many ways, I still haven’t figured it out. But I’m still searching. I was a mother and a wife without a good education or any job skills, and it was frightening. Shortly after we married, I moved to Mobile, where Albert had gone to get a job. I took my quilts with me. I left Sonda with my mom and got a job at a fast-food restaurant. I worked there for five years. I made a few quilts after I got married, but stopped because I had plenty of quilts to keep my family warm. In 1982 I had my second daughter, Melinda. By then we were living in a house that had central heat and air, and I wasn’t making quilts. The need for quilts didn’t really exist. I started crocheting, and that took the place of quilting. Most of my crocheted blankets looked like quilts. I made them from my head. Most look like “Housetops” or “Lazy Gals.” I made one for Dad (my great-grandfather Ed O.). I used to love going home because he would have it spread over his legs. He always used it and it made me happy to see him with it. In 1990 I had Merrianna. She was named after Albert’s mom, Mary Lee; my mom, Rita Mae; and me, Louisiana. The same year Merrianna was born, Dad (Ed O.) died. My mom called early one morning to say that he had passed. I kept thinking that I was still asleep and it was just a bad dream. He was the man that had helped to raise me, and now he was gone. When Merrianna was one year old, I got a job working for the Lee Company, the people who make the jeans. My job was putting the zippers and pockets in. I worked for Lee for six years. Then the company moved that part of their operation out of the country. In the early days at Lee, we used to sit down at the machines and sew. They eventually took the chairs away, so we had to do our work standing up. We were getting paid by the piecework, and we had a quota. I think that Lee thought we would get less done standing up, and therefore they wouldn’t have to pay us as much. But people ended up working harder and getting more done and getting more money. Then they closed that plant. I think they still cut the jeans in Mobile, but I don’t think they put them together there. I then went back home and took care of the girls. In 1997 my last daughter, Alleeanna, was born. She was named for Albert and me. I just stayed home and cared for her and the other girls. By then Sonda had had a baby, Tausyanna, and they were living here, too. I had taught my girls right from wrong and I didn’t want them to have kids until they were married, but she did anyway. I was very hurt. I raised Tausyanna like she was my own. Sonda dropped out of school and moved out and got married, but she left Tausyanna with me. When Tausy was about nine, Sonda took her back. And it broke my heart. During this time, we would often go back and forth to Gee’s Bend and visit with my family and Albert’s family. 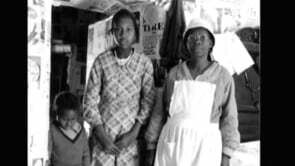 The girls would spend time with their grandmothers (Rita Mae Pettway and Mary Lee Bendolph) and watch them piece quilts and quilt them. They were more involved with quilts than I was. They would stay in Gee’s Bend and draw their own designs. Sometimes they would come home with drawings they had done, but I didn’t pay too much attention to them then. 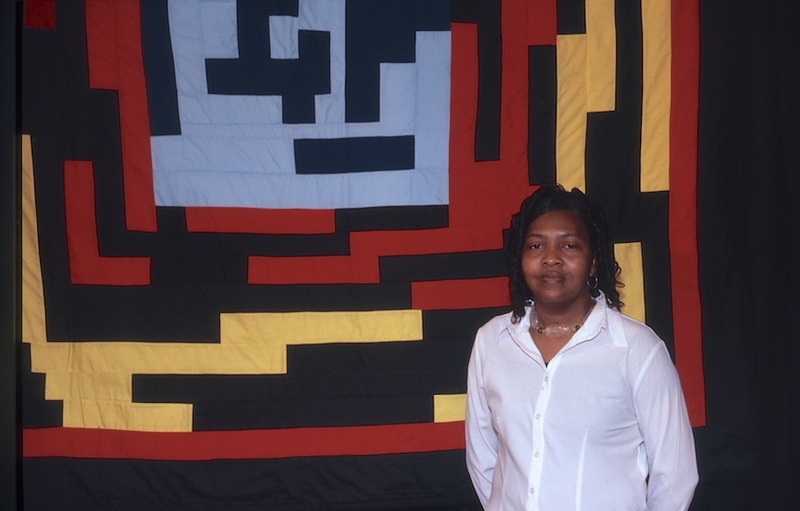 In 2002 my mom called and invited me to go with her to Houston for the opening of the Quilts of Gee’s Bend exhibit. That was the first time I really had heard anything about the quilt exhibit and book. People had been going to Gee’s Bend and buying quilts for years, but nobody had really done anything before. People got quilts and left and that was the end of it. We never got anything more out of it. I guess most of us had just thought this would be the same. We really didn’t think anything of it. Most of us had no idea what to expect. I was just going because my mom asked me. They mentioned something about the quilts in a museum, but I had never been to a museum and didn’t know what to expect. When I got to Houston, I saw the book for the first time and saw my quilt with my name next to it. I was shocked. Just shocked. I couldn’t believe my name was actually in a book. I see my name on maps, but that means the state, and I see my name on hot sauce, and that means the brand name, but I never thought I’d see Louisiana and it would mean Louisiana Pettway Bendolph. They gathered the women onstage and asked me to come onstage, too. I felt like I didn’t belong with those women because I had moved away from Gee’s Bend. I thought it was for them to be honored, but they asked me to join them. I had left home, but I was there so much that it felt like I had never left. I guess home is just home. I live in Mobile, but Gee’s Bend is still home and always will be. Then we went to see the exhibit. When I got to my great-grandmother’s quilt, I cried. I cried to see our history and our past up on the walls, and realizing that “Mama” [Annie E. Pettway] had left a legacy. She was gone. We hadn’t forgotten her, but no one else in the world knew who she was. And then to see her quilt hanging on the wall, it was so beautiful. When she had died, she was just “Mama,” but now she had been reborn as someone who people were respecting, and all of a sudden she was important to other people in a way she had only been to us. It brought tears to my eyes, and I was so overjoyed inside. She had helped to raise me. After her stroke, I helped take care of her. My strongest memories of her were late in her life after she was ill, of her having to be taken care of. When I saw her beautiful artwork on the wall, it took me back in time, back to a time before I knew her, before I was born, when she was a whole person with all of her abilities. I could now picture her in her happier times. She had done something important. I could see that now. She never got to go places or do anything. I felt like in spirit she was there with her quilt and with me. I remember how Mama and them used to pray for better things for their children. And I remember when I saw her quilt, I could see her face so plain, and I felt like she could see it, too. When I travel now, she is there with me. She is now known all over the world. In a way, she’s still alive in that quilt. We went through and saw our aunts’ and sisters’ and moms’ and neighbors’ quilts on the walls, and it was breathtaking. I see work that they had done. They didn’t make them and think that anyone would ever see them, and here they were with all of these people looking at them. To me, that’s the best thing that could ever have happened to our community. When I was coming back from Houston on the bus, I started having visions of quilts. At first I didn’t pay any attention to them. They just kept coming. I tried to ignore them. I said, I really just don’t want to do that anymore; I’m done making quilts. But they wouldn’t leave me alone. I thought, I’ve just been to a quilt show, and that’s why the images are in my mind. But the images I was seeing didn’t look like anything I had seen in the show or anywhere else. I ignored them. But they didn’t stop. So I got a pencil and a piece of paper and drew them out. I thought that would be the end of it, but it wasn’t. Finally I decided that I would get some fabric and make a quilt. I thought my days of making quilts were over, just part of my past, like planting corn and picking cotton. But the images wouldn’t go away. So I made another quilt, and then another, and then another. And I’ve kept on doing it because those images won’t leave me alone. Sometimes now I sit down with pieces without a vision or design in mind. I’ll use pieces that I’ve already cut and use them as the basis for my design. Once I start putting the pieces together, I’ll see which direction the quilt is going. I’ll put it on the bed and stand back and look at it. Sometimes I like it and sometimes I don’t. If I like it, I keep sewing on it. If I don’t like it, I’ll cut it apart and redesign it. Or I’ll put it aside and come back to it later, when I am inspired. Lately, I’ve started three or four quilts, but they weren’t coming together the way I thought they should, so I folded them up and put them away where I can’t see them. Every three or four days, I’ll go pull one out and put it on the bed. If I get a feel for where it needs to go, I’ll start working on it again. Sometimes this process will take me five or six months. The one in the High Museum’s collection is one that I designed totally different in the beginning. I cut it apart and redesigned it. And I took the rest of it and made something else. I ended up making two quilts that I really like and worked out like I wanted them to. My mother-in-law, Mary Lee Bendolph, was going to California to make fine art prints. I didn’t have any idea what that was. Matt Arnett asked me if I wanted to go, too. I was excited about spending two weeks in California, a place I had never been, but I really didn’t know what I was getting myself into. I have always shied away from things where I had to step out front. I never liked being the center of attention. But I remember in the old days, my foreparents had always prayed for better days for their kids and grandkids. So it was like God had heard their prayers and blessed us. I felt a responsibility to take advantage of this opportunity. When we got to California, Mary Lee and I were so nervous. We make quilts, but that’s always by ourselves without anyone watching or paying attention. Not even my husband pays attention until the quilt is spread on the bed. My daughter and granddaughter, Alleeanna and Tausyanna, will sometimes watch. They will pick up a piece off of the floor and ask if they can make a quilt. I told them they were too little and I didn’t want them to stick themselves with the needle. The real reason is, I’m not really ready to teach them yet. And they were really too young. So they got some paper and started drawing their own “quilts.” Then they started doing it on the computer. I would tell them, if I liked some of their designs, I would make a quilt from them. I was really surprised at how good their designs were. So I kept my word—they were constantly reminding me, anyway—and made some quilts based on their designs. But for the most part, my work is done alone. In California I was working with a group of printers, and Mary Lee was working right across from me. I had never really seen her working, and she had never seen me working either. I don’t really like for people to watch me work and to see what I’m doing before it is finished. The people at Paulson Press respected that and let me work alone. When it was time to print, I had to make decisions and work with a team. It was strange. We were working with people, and for the first time, I was able to make work decisions by myself. When I farmed, someone always told me what to plant, which field to go to. In my jobs, I never was a supervisor and never got to make decisions. I was always taking directions from other people. Now here I was, and everyone looked to me to make choices. It was scary, but good. Someone wanted my opinion. They kept saying, “It’s your print. You decide.” When it came time to print my designs, I got to make all the choices about what to print, and the colors, and all of that. But we all agreed with each other. It was like working with a family where everyone got along. In the mornings, it wasn’t like going to work. It was like going to a family gathering. It really made me feel great. When I put on the apron that was covered in paint and I picked up the paintbrush, I kind of, for one moment, felt like I was an artist. There was so much paint on the apron. It was clear that so many other artists had worn it and painted in it and done “spit bite” in it, that I felt like I was becoming an artist, too. The apron was made out of denim. I looked back to the work clothes the men wore in the fields and everywhere else. Coveralls were what the men wore. The women would take those old worn-out clothes and make quilts out of them. Here I was wearing the denim apron, and I couldn’t help but think about those work-clothes quilts that were made back in Gee’s Bend when I was growing up. I also thought about the fact that I was making quilts from fabric and my kids were making quilts on paper, and here I am in Berkeley and the tables are turned. I’m making quilts in fabric and transferring the designs to paper. The whole thing was overwhelming and made me feel such a strong connection back to my family and home. Home made me who I am, and I’m thankful for that. My life growing up was so hard. But it built character. I see that now, but back then, all I could think was, My life shouldn’t be this hard. Now, my life is so great. I have so many opportunities that I never thought I would have. All of that because of quilts. I had always wondered why I was born without any talent to do something good or important. When I was growing up, we weren’t taught to have pride in ourselves or to have pride in what we did. It just wasn’t taught to us. Now when people celebrate our work or praise our talent, it is hard for us to say we are proud. We are proud on the inside, but we were not really taught how to accept being proud or how to express it. I’m so thankful that the exhibit and all that has followed has brought that pride to my community. And I’m learning how to take pride in what I do. Or at least I’m working towards that. Part of me feels like I’m living in a dream and I’m going to wake up and realize that it has all been a dream. I hope not. In the meantime, I’m still learning to accept that fact that people think of me as an artist. To me, I’m still just plain and simple Lou. I need to get used to “Louisiana Bendolph, the artist.” But I’m proud of that. I really am. 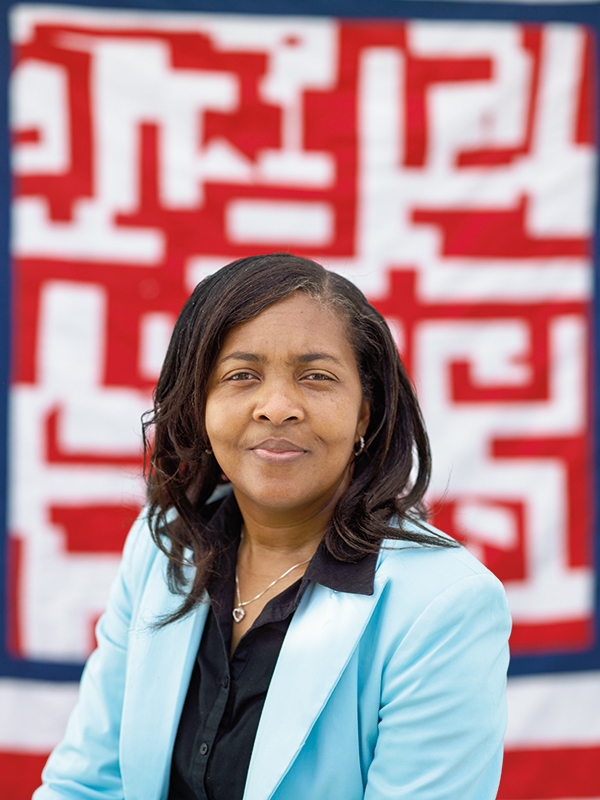 This exhibition puts the Gee’s Bend quilts in context by featuring the work of master quilt maker Mary Lee Bendolph and those she influenced, accompanied by the art of artists working in the found-object tradition who are part of her artistic sphere, including Thornton Dial and Lonnie Holley. 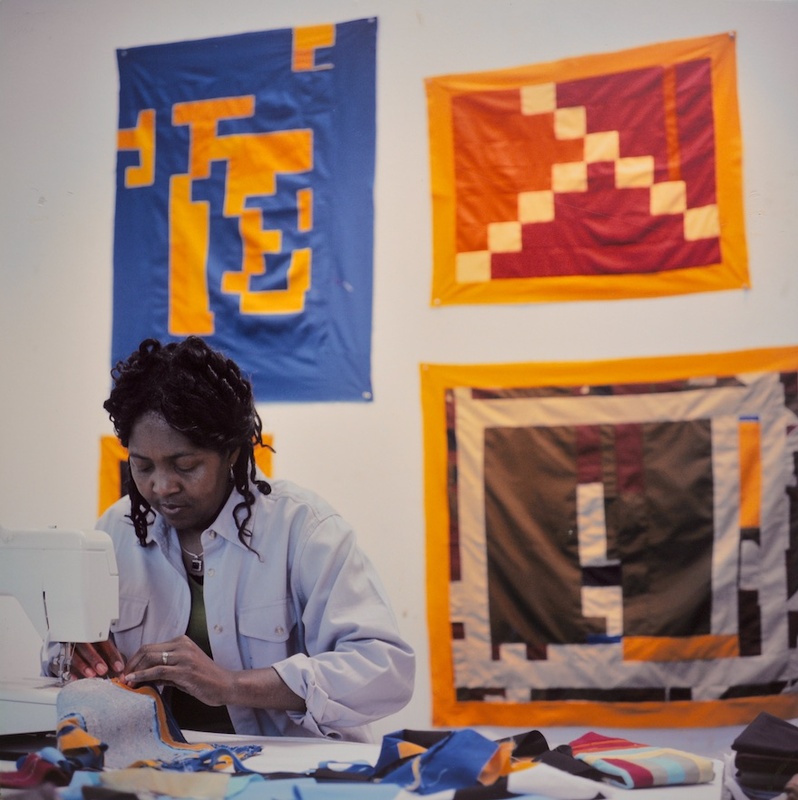 In 2006 and 2007, The Foundation for Art and Preservation in Embassies (FAPE) commissioned four Gee's Bend quilters to produce prints for display in fifty U.S. Embassies around the world.